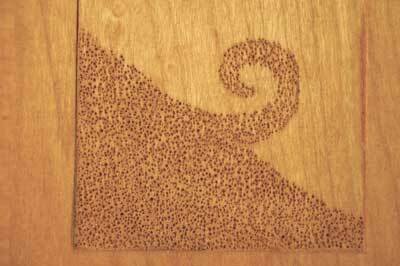 The purpose of stippling the ground of a relief carving is to create numerous shadows, as each impression into the wood will do. This increase in shadow makes the ground or background appear darker (see photo 1). 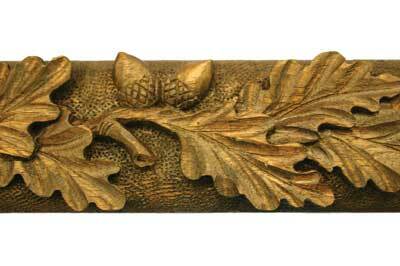 This appearance, as well as the texture, presents a contrast with the modelled planes of the relief carved object. It is a technique used in low relief situations and not effective, indeed, not necessary in most cases, in mezzo-relievo or alto-relievo carvings as the shadow of the deeper recesses provide the needed contrast to make the carvings readable (see photo 2). There are, of course, other ways to emphasise the background of a relief carving - randomly ordered tool marks and consistently oriented grooves are just two possibilities. Occasionally, I have observed the use of punches to shade the under-lapping of elements in flat carving, but personally donâ€™t think the use works for the good of the carving, instead muddying the distinction between ground and depicted element. 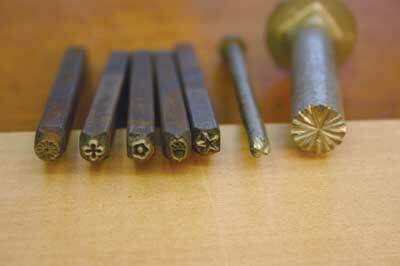 The punches of the first group can be shop made or ordered from carvers' supply houses (see photo 4). 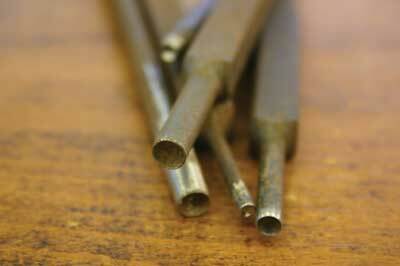 Single points can be made from wire or cut nails, bolts, and miscellaneous rod and bar stock. The single point is simply ground or filed to the desired shape. It is best to mount these in a wooden handle so that finger fatigue is minimised. 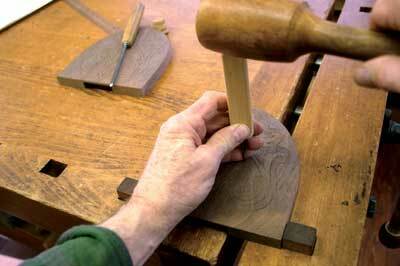 A wooden D-shaped handle seems ergonomically better and can be struck with a small carver's mallet. What is available commercially are multiple pointed round, square (and rectangular), and triangular patterns â€“ these can be made by using a triangular mill file. First, file a series of valleys on the end of the stock. Then make a second series oriented 90° to the first, creating a number of pyramids. The tools of this group are the most common and are used to 'blanket' stipple the ground of relief carvings (see photo 5). The punches of the second group have limited use and are generally used as a diapering device. Gilder's supply houses also carry such stamps used to decorate gesso. Leatherworking suppliers are also a possibility (see photo 6). Most designs are difficult to make in the usual shop, but radiating designs like a sunburst or daisy or an X, can be made by filing the edges of a round blank. Any geometric shape, such as a hexagon or rhombus, can be made as well. The last group of punches is for clarifying various recesses (see photo 8). 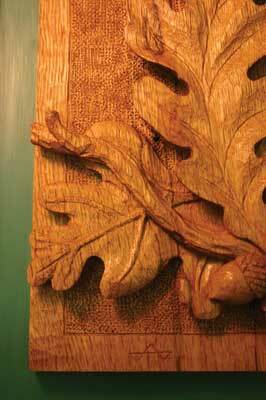 The most frequently mentioned is the teardrop shaped ones used for the similarly shaped eyes of acanthus foliage. A triangular punch is sometimes used to stamp the recess between grapes or barriers in a bunch. An acute angled one may help with acute corners, between leaves for instance. Reliance on this sort of punch should not substitute for clean and careful workmanship. 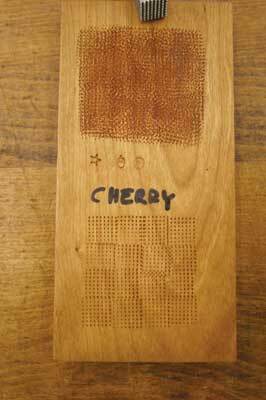 In photo 9, some of the various punches have been impressed on cherry (Prunus spp.). But all this may depend on the finish to be applied. 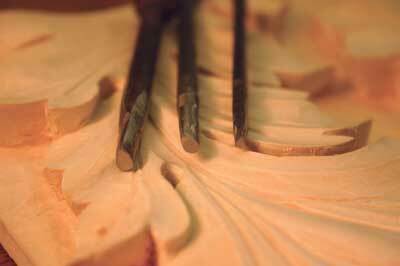 A penetrating oil usually makes punching â€“ as well as scratches and gouge stab marks â€“ more pronounced. Stains will also emphasise stippling. 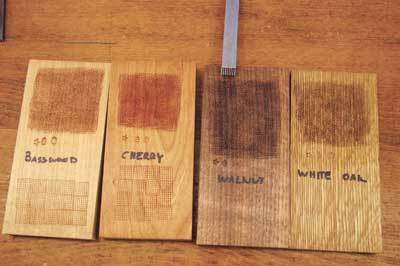 Experiment with different woods and finishes. 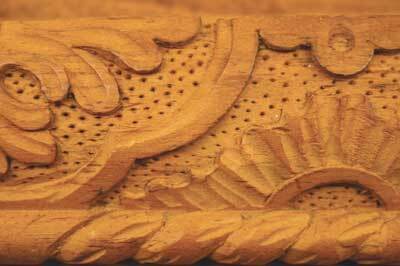 There is no need to stipple the ground if the carving is to be painted with several colours, as the prudent use of colour should achieve the desired contrasts that stippling does in a 'natural' woodcarving. The technique is best used on smaller areas of ground. Large areas of ground should generally be left without blanket stippling, but is a good place to use the figural punches of group two. As with any diaper pattern used as 'wallpaper', the intention is to break-up or fill-up the blankness of the ground. The individual impressions should be spaced randomly, but with evenness. In the 18th century moulding shown in photo 11, single dimples are spaced in a similar way in an effort to break up the ground. After the carving is completed, including undercutting, the ground should be smoothed. The stippling tool is struck with a mallet. The single point punch is held by one hand, heel on the surface of the material, and struck with rapid, light blows. The point is moved about as the mallet 'vibrates'. When using the multi-pointed stippling tool, the complete pattern of the punch is evenly impressed. The procedure is repeated around the outline of the relief and the border, but the tool should overlap the previous impression and be turned so that the orientation of the lines do not line up. You should not be aware of the successive placings of the tool. Photo 12 shows (at the top) the 'blanket' stippling preferred, while the lower pattern shows the unevenness of successive placings of the tool. The tool should not be struck so hard as to make a square or round indentation â€“ only the points should be impressed. 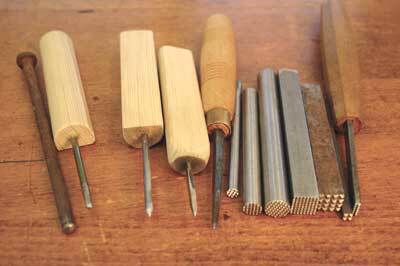 Care should be used to strike the tools evenly throughout the entire ground â€“ practice on a scrap piece if unsure. Smaller tools with the same sized pyramids should be used to get into smaller areas, and a single pointed tool for the undercut areas. Not to put too fine a point on the subject, but it should be noted that there is a subtle difference among the types of point you use. Photo 13 shows (going clockwise) the results of using tools with a coarse pyramid, a finer pyramid, a conica, and a round point. 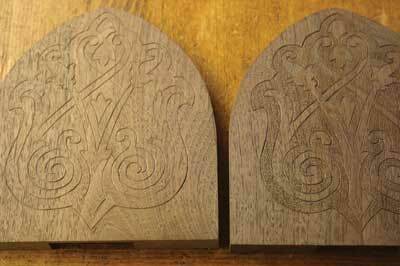 Avoid trying to line-up the tool around a border or the outline of the carving â€“ the inevitable unevenness will be distracting. 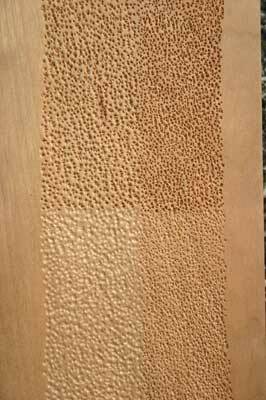 If done well, the stippling should not be noticed by the viewer, as the carving itself will be emphasised. To see or purchase more books by Frederick Wilbur, click here.